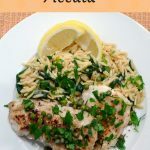 Usually you see “piccata” with chicken or pork, but this piccata recipe lends itself well with a mild flavored fish such as sea trout, flounder, even tilapia. . . whatever you prefer. Sea trout is an easy and quick dish for a weeknight meal. Fish is a low-calorie source of protein but it doesn’t mean it has to be a low source of taste. Sea trout is a white-fleshed fish that becomes extra special when you accentuate it with a lemon, capers and white wine sauce. I was born in the Friuli – Venezia Giulia region in Italy. 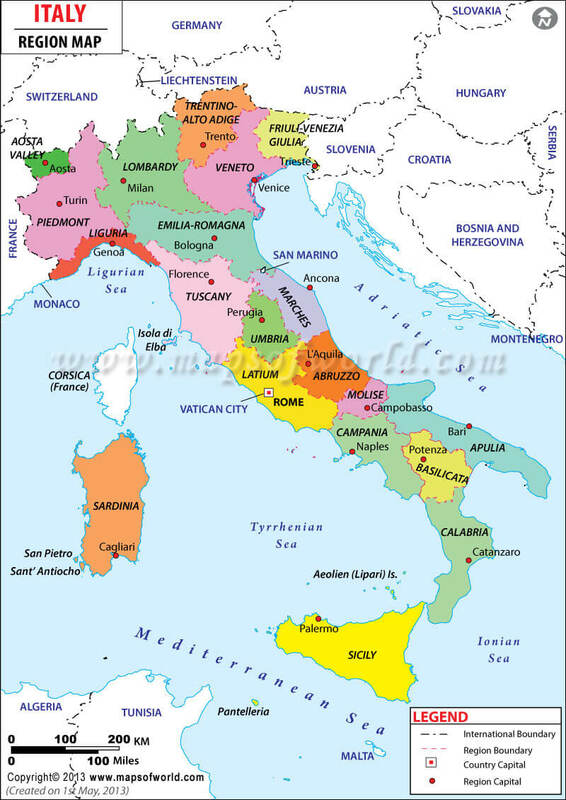 It is the northeastern most region of Italy’s twenty regions. It is a very small area somewhere in-between the size of Delaware and Connecticut. In this region’s cuisine, it is common to find capers used with seafood. The brightness of the lemons, the brininess of the capers and the richness of the butter compliment the subtle tasting fish. 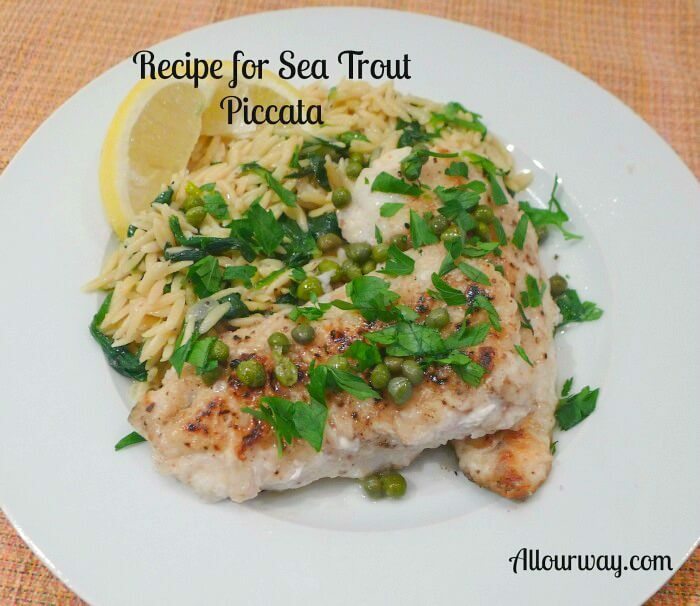 Sea Trout Piccata is a quick and easy weeknight meal that’s nutritious and tasty. To compliment the Sea Trout Piccata, we served it with Lemon and Spinach Orzo. This recipe I will post later. This is an ideal weeknight dish that is quick and nutritious! Don’t have sea trout? Use another mild seafood in its place. This is just a sampling of the delicious seafood recipes we on the blog. Check them out! This is a wonderful dish you can make throughout the week and it takes no time at all. The sea trout is a mild flavored fish that takes on the flavor of the salty capers, the citrusy brine, and the rich butter. It isn’t heavy on calories, it’s delightfully light and flavorful. A delicious fish recipe that has a light bright sauce. Heat 2 tsp. oil in a nonstick skillet over medium-high heat. Add half the fillets and cook until golden, about 2 minutes per side. Transfer fillets to a platter; tent with foil. Repeat heating and cooking with remaining oil and fillets. Transfer these fillets to the platter also. Add wine, lemon juice, and capers to skillet; cook 30 seconds. Off heat, swirl in butter until it melts; season with 1/2 freshly ground pepper and 1/4 tsp. sea salt. Serve fillets with sauce and your choice of side. 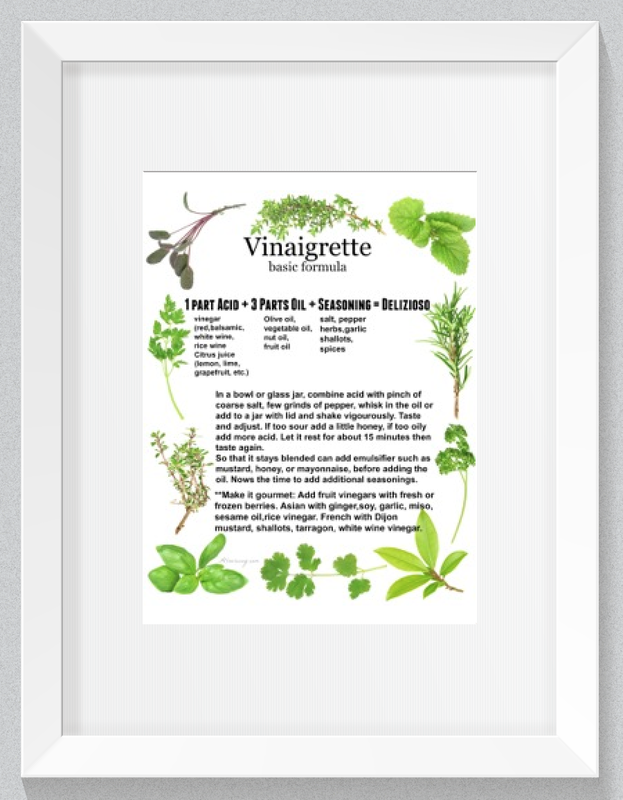 Garnish each serving with parsley. My choice of a side was the Lemon and Spinach Orzo because I felt it a perfect companion for this dish. In the Friuli-Venezia Giulia region, the garnish is often sprinkled around the plate rather than on top of the dish. This way, a person can taste as much or as little of the added flavor he or she wants. Note: Recipes and content from © 2014-2018 are copyright protected. Please do not use content or recipe without prior written permission. If you want to share the information please link to this post. Grazie! I wish I was located nearer a real coast! The only coast near me is Lake Erie … and that’s not exactly seafood heaven. 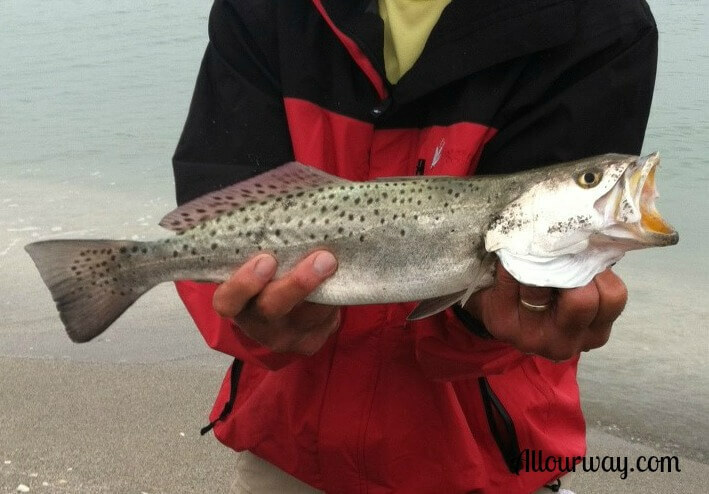 I mean, it’s good perch … but Sea Trout?! I love this recipe! This piccata looks absolutely beautiful. I love cooking with capers because I think they can elevate a dish really well. It was also fun to learn what part of Italy you were born in. What a gorgeous area full of wonderful culinary inspiration! Shut the front door! Marissa this is incredible, I ALWAYS do Chicken Piccata but it makes perfect sense to do it with fish as well. The capers and lemon are a perfect compliment to the mild fish, oh you have me excited!! 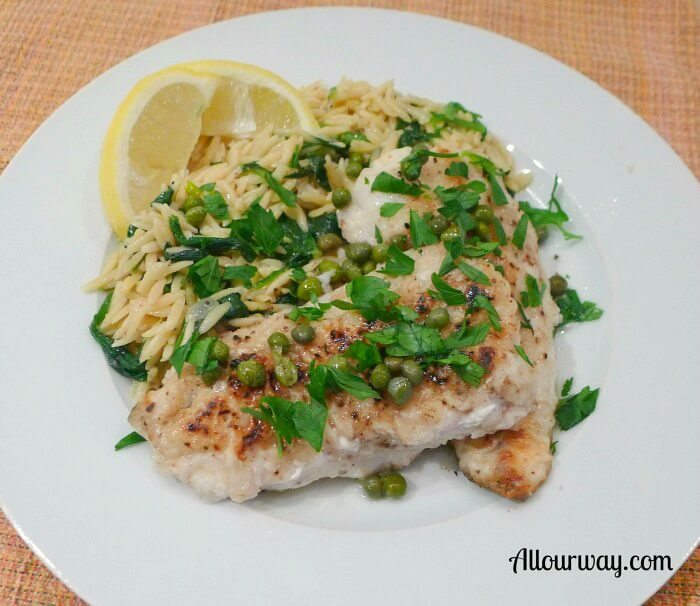 Chicken piccata is usually our favorite, especially with the kids. I have not tried it with Fish yet. This sounds so good. My kids would enjoy it for sure. 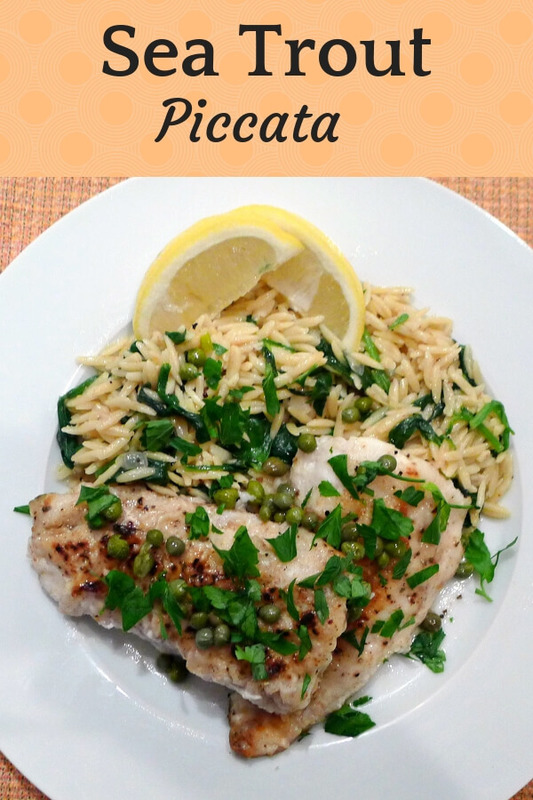 I’ve only ever had chicken piccata (and love it!). What a great idea to use seafood, I never would have thought to do that, but now I can’t wait to try! Great idea for dinner. This recipe looks super easy and full of ingredients my family loves. Looking forward to trying soon. My family loves fish dishes. I have to try this! Looks amazing! Perfect. This is a great idea. Thank you for sharing this great recipe. 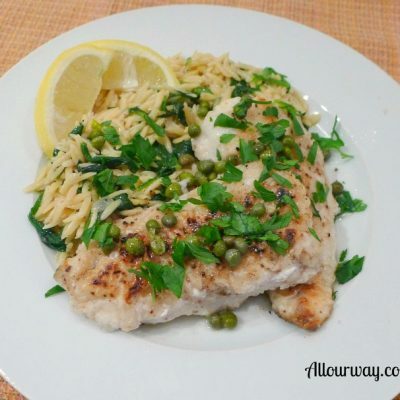 I haven’t tried piccata with anything other than chicken so I’m very intrigued! Can’t wait to try it! I love simple fish dishes like this, the white wine and capers are the perfect match! I have never cooked trout you sure are a great resource of whenever I get the chance to try these out if my husband ever gets fishing again, we are now getting Red Tide here in Florida which kills all the fish 🙁 I will hold on to this it looks fantastic!